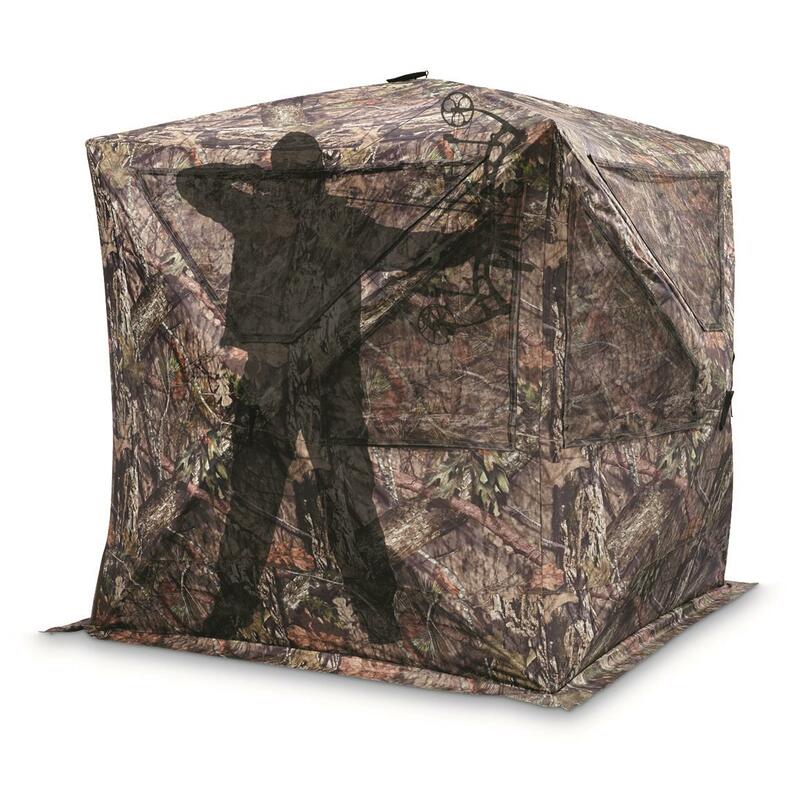 A bigger, better way to hunt! 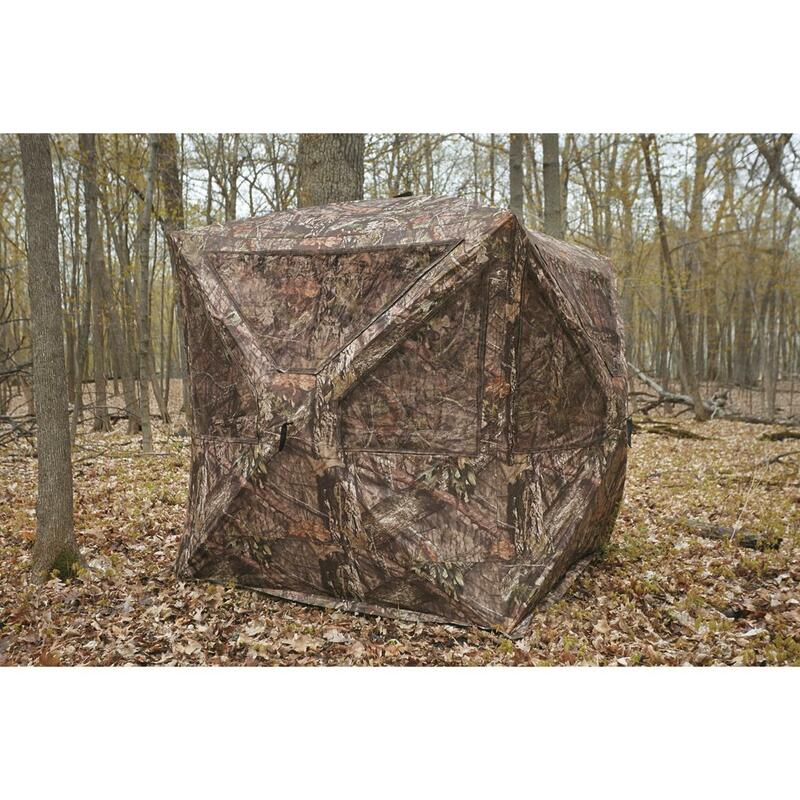 Super-size your hunt and turn more room into more success with the professional-grade design and construction of the Bolderton Colossus Ground Blind. If you’re a big guy, or simply a hunter who prefers having extra elbow room, you’re sure to appreciate the massive dimensions of the Colossus. 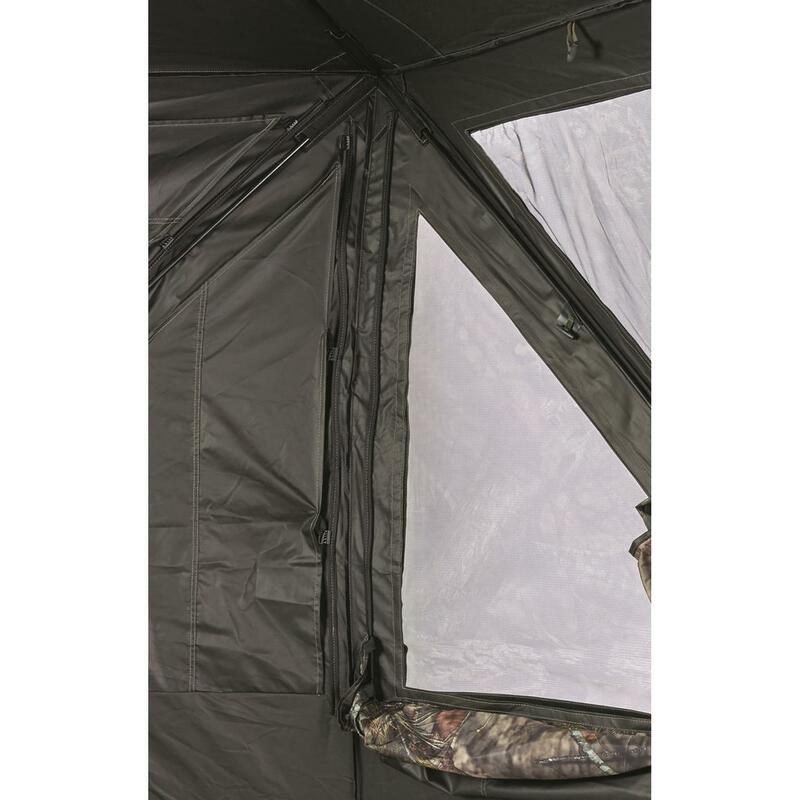 It measures 90” from hub to hub, with a full 80” of ceiling height that easily accommodates stand-up shooting, even for tall hunters. 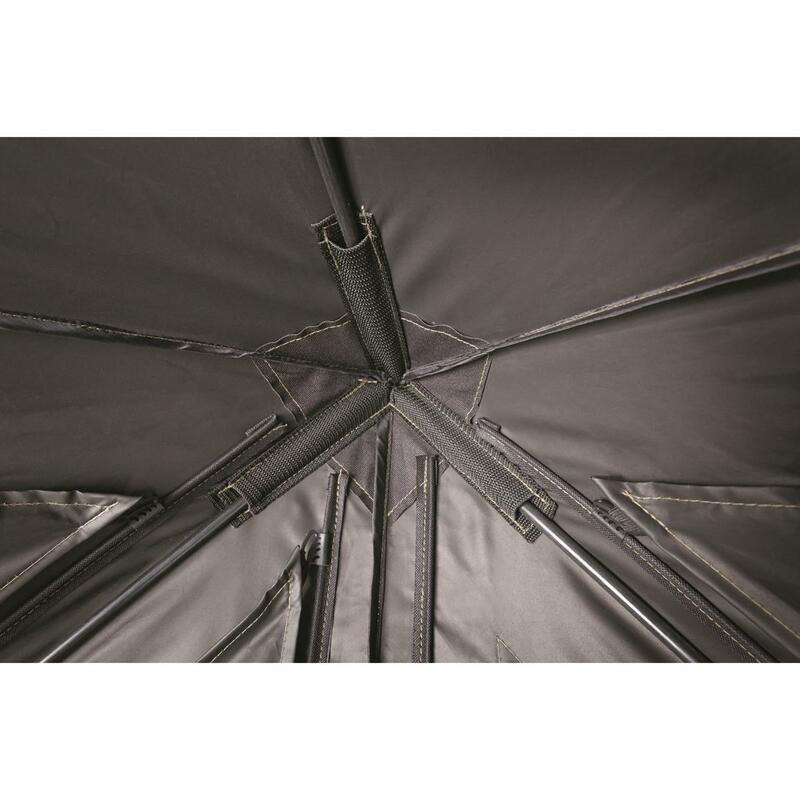 Plus, the Colossus is built stronger than ordinary blinds, with a 300-denier shell, thicker poles and heavy-duty hub assemblies. A full-panel, flip-up door provides easy access. And Silent Slide window openings allow for noise-free window customization. Mossy Oak Break-Up® COUNTRYTM camo, full black-out interior and integrated brush loops combine to deliver ultimate concealment and a definitive advantage in the field. 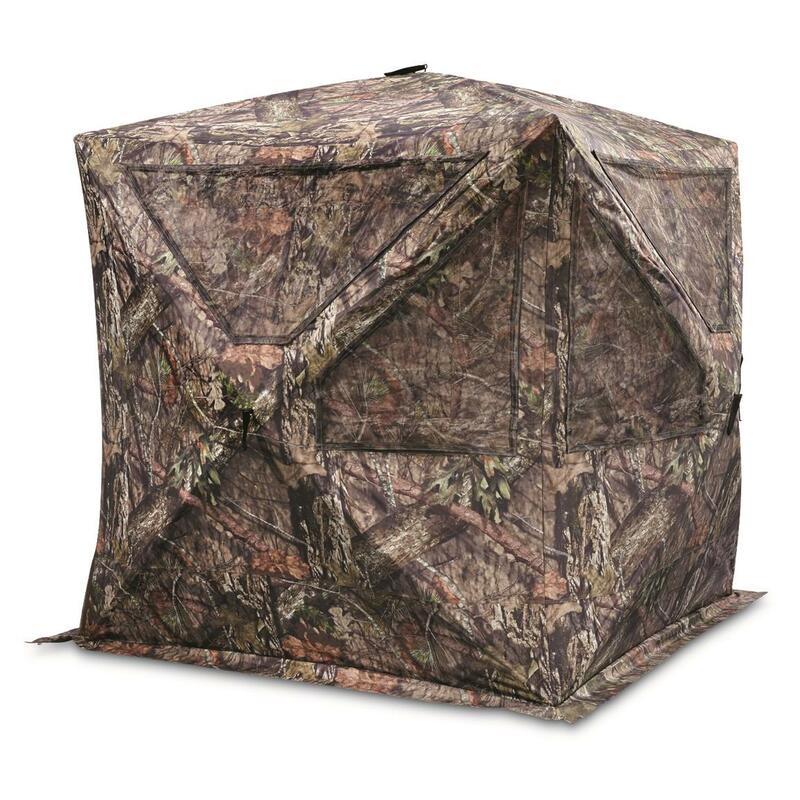 Based on feedback from hunters, the Bolderton Colossus Ground Blind features a convenient, full-panel, flip-up door for fast, easy entry and exit, especially when hauling gear, chairs, etc. Plus, the flip-up door panel makes this Blind handicap accessible and perfect for those with mobility challenges. Simply walk up, flip open the door and you're in. No bending. No twisting. No turning. No noise. Just quick, easy access. 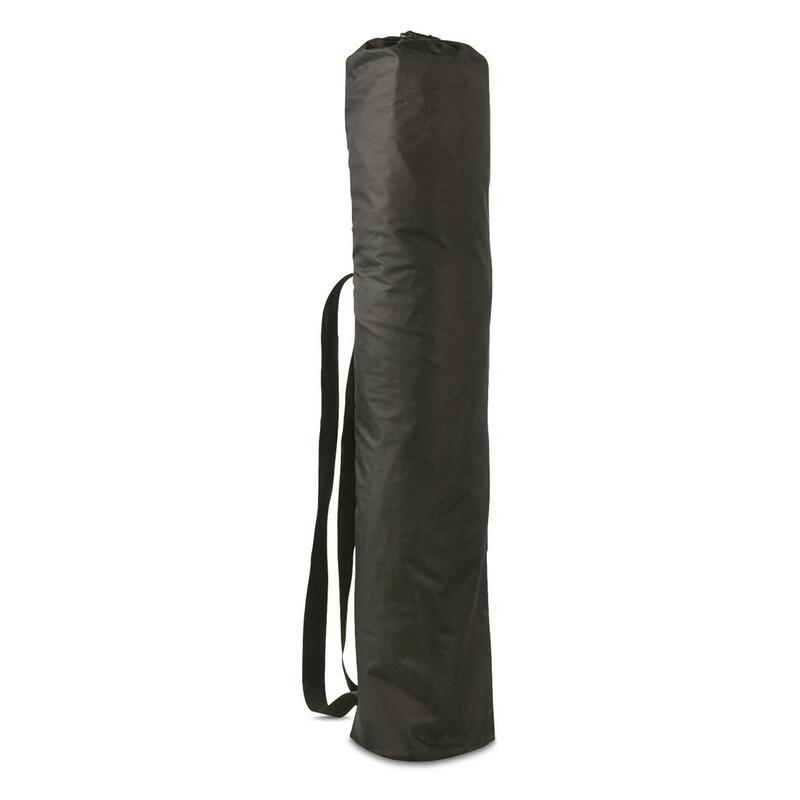 Plus, with an 80” center height, the Colossus is perfect for stand-up shooting with a bow. Stronger, more heavy-duty construction ensures that Bolderton blinds will far outlast cheaper models. Full lock-out hubs and oversized poles deliver optimum strength and stability, even in windy conditions. 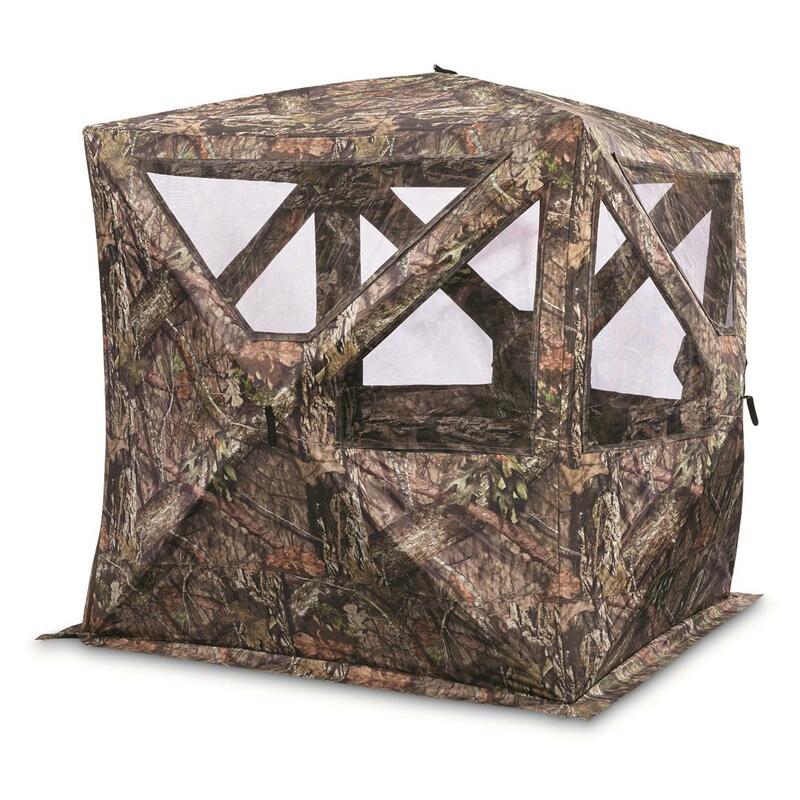 The rugged, 300-denier shell is twice as thick as ordinary blinds, and features dual layers of polyurethane for maximum weather resistance, plus a soft, brushed finish for stealthy deployment. The thicker shell is not only more durable, but also provides better scent containment to prevent being sniffed out. 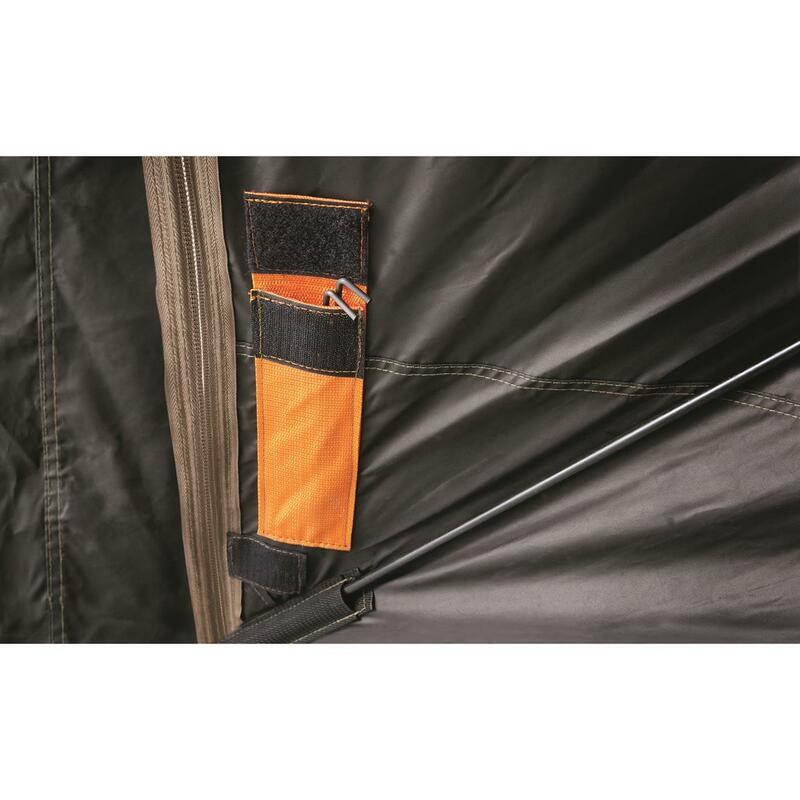 And, unlike cheaper blinds that can tear with one wrong move of a hub rod, the Colossus features heavy-duty rod pockets for worry-free set-up and takedown. Everything about Bolderton blinds is designed to go beyond ordinary. Large windows provide 360º viewing and feature Silent Slide openings for stealthy, noise-free operation. No noisy zippers! 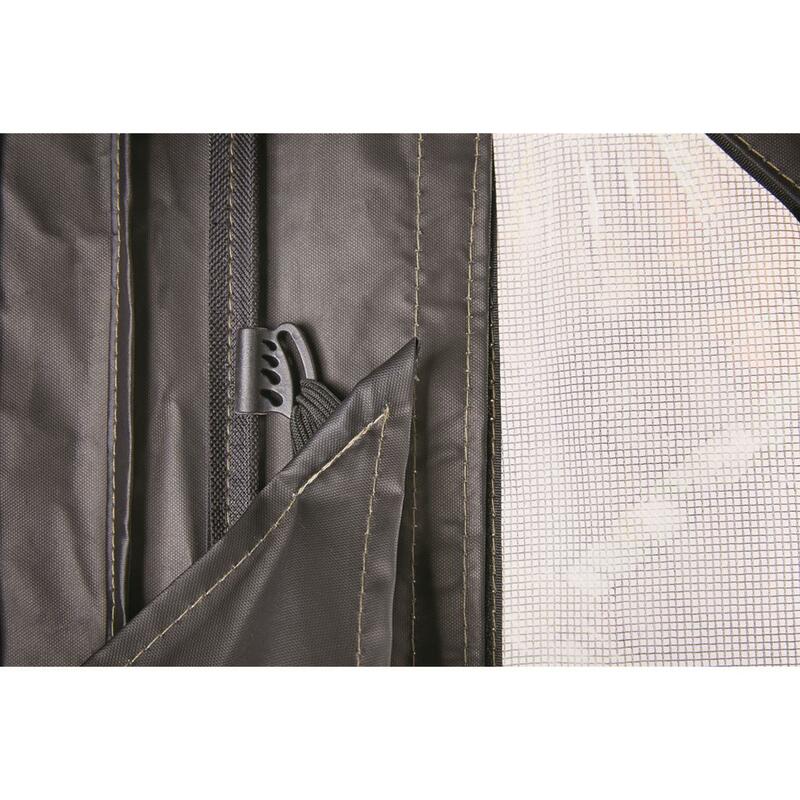 Plus, the shoot-through mesh screens include hook-and-loop panels for easy removal and replacement. Brush loops on the exterior make it simple to add native brush and foliage for added concealment. An interior pocket provides convenient storage, and a fully blacked-out interior prevents shadows from revealing your position. Plus, the whole works packs up into a heavy-duty carry case with backpack straps for hassle-free transport and storage. Window Dimensions: 48"l. x 23"w.
Foot Print: 70" x 70"
Overall Dimensions: 90" x 80"h.